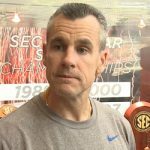 » Florida is 43-22 all-time against Florida State in basketball, doubling up its in-state rivals 12-6 since Donovan took over the program. 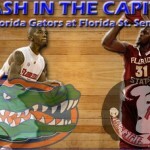 The Gators are also 18-10 against the Seminoles in Tallahassee (5-3 under Donovan). UF is on a five-game winning streak in the series with consecutive victories in Tallahassee. 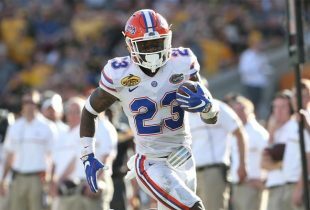 » The Gators have snapped out of a scoring slump over their last four games, posting an average of 75.5 points per contest with three games of 75+ points after not eclipsing 68 prior to Dec. 8. UF has also won its last four games by an average of 30.3 points. » Florida dropped consecutive non-conference games (vs. North Carolina, at Kansas) for the first time since 2009. » The Gators have put forward seven different starting lineups in 11 regular-season games. Overall, nine players have started at least one game for Florida this season. » UF is looking for its 17th consecutive season with 20+ victories. Florida’s 16-straight campaigns with that many wins is the longest streak in the SEC and fifth-longest nationally. Only eight coaches have ever won 20+ games in 14+ consecutive seasons. » Earlier this season, Miami snapped Florida’s program-record 33-game home winning streak, which dated back to Nov. 11, 2012, and was the second-longest in the nation. The Canes also broke the Gators’ school-record 25-game home winning streak against non-conference opponents, which dated back to Dec. 22, 2010. “Everybody should be cleared to play,” Donovan said Monday. According to Florida, Carter is a full-go after dealing with lingering foot issues, while redshirt junior forward Dorian Finney-Smith is expected to play his first game without a cast on his non-shooting hand after he suffered a pair of hairline fractures in the season opener. I think we will finally start to see how good this team is. Hope they smash the s*@#holes in their own house! I need this one just for my psyche. It’s like an appetizer before Oregon beats them by 3 TDs on Thursday.